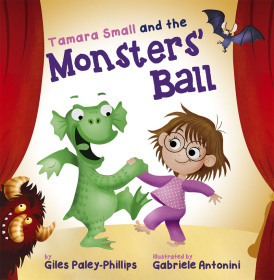 Tamara Small is whisked away in the middle of the night by a monster to the monster ball. I won't lie, the first time we read this story the girls got a little scared. I had to continue reading and show them that it was OK and Tamara had a really lovely time at the ball and that she was not scared. In fact Tamara Small loved the ball, she loved the break dancing werewolves and by the time we got to the cake of slime the girls were laughing. Tamara Small and the Monster Ball is going to be perfect for Halloween. After the first time we read the story we have read it again since and the girls now enjoy and are not scared, as they know what is going to happen. It is beautifully illustrated which I think helps to take away the scary edge they initially felt. This is a book which will grow with the girls and I am looking forward to reading at Halloween.